When blueberry season approaches I am always so happy. Not only is there usually a surge of local New Jersey blueberries, but I can usually get them by the case at the local outdoor market pretty cheap. I'm not sure what the issue was this year, but the local market hasn't been flooded with these delicious berries, and, due to an overcrowded schedule, we haven't been able to get to Jersey a lot this year to get some on our own. 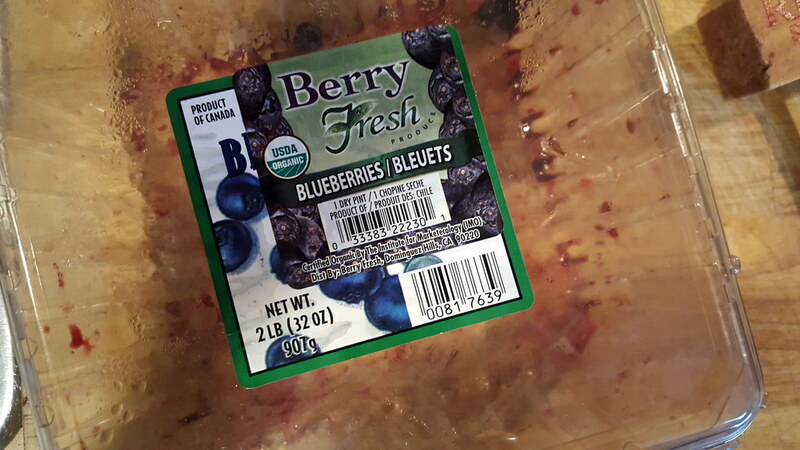 Recently, however, I have been able to get some inexpensive blueberries that have been quite tasty despite their long travel from Chile. And, I'll tell you what, they made a damn good jam! 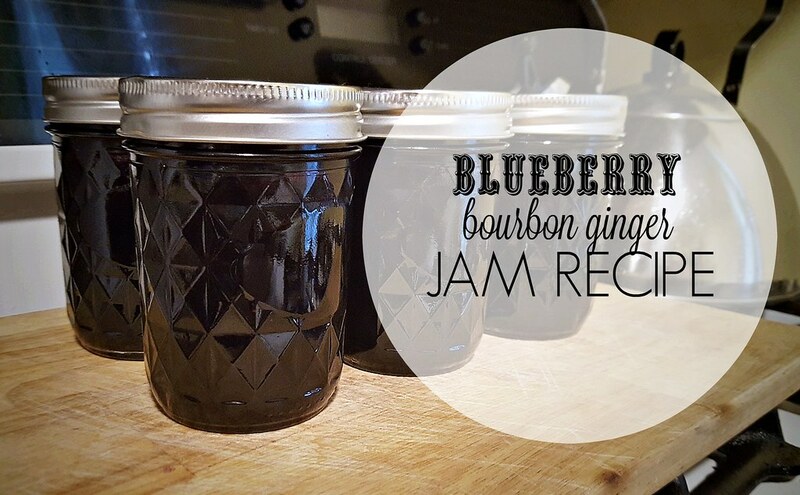 In addition to my favorite basic Blueberry Jam, I made a variation to the recipe this year. About a month ago I decided to make a small batch of strawberry bourbon jam with some bourbon friends had brought over during one of our BBQs. Of course I shared the jam with everyone and it went over so well that I wanted to try some in this blueberry batch. Even though I am a bourbon lover, we had never purchased this brand before and it has a very distinct taste to it: a very bold, almost rustic taste that was easy to enjoy. You can check out the company HERE. 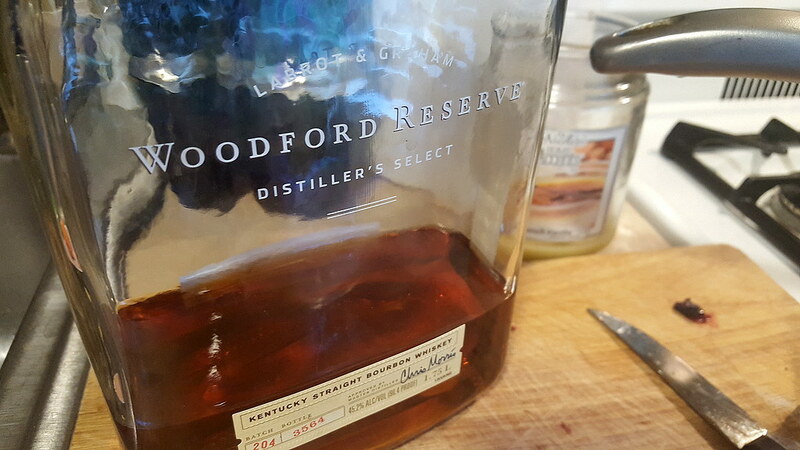 As I was playing around with the jam recipe adding my bourbon, I wanted to add something else as a secondary flavor. Traditionally vanilla is popular in bourbon jams, but I wanted something different. After searching Pinterest for some ideas I found a link to a blog here that suggested using ginger. 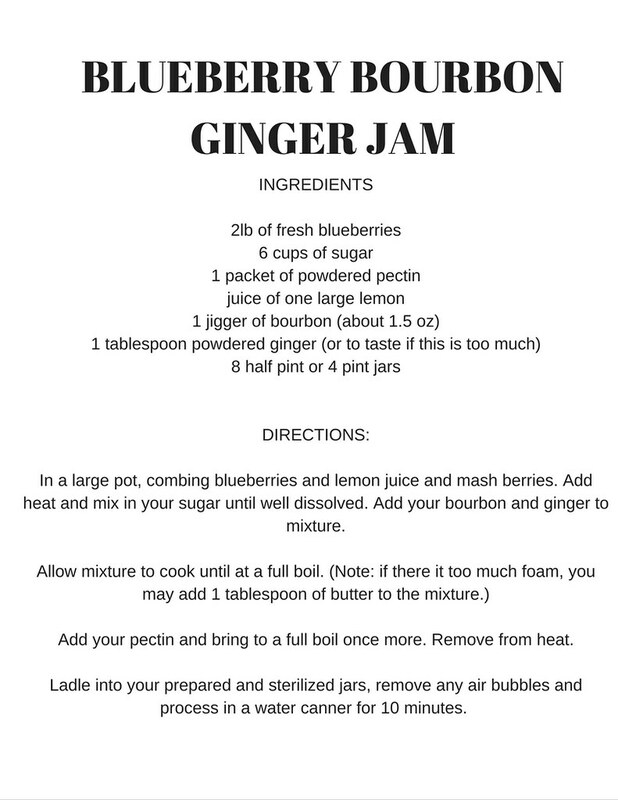 I didn't have enough of or even the exact ingredients to make the suggested batch, but I improvised to make a smaller batch of the Blueberry Bourbon Ginger Jam using the recipe below. If you follow the link to the recipe I derived mine from you will notice a few differences: firstly, they do not use pectin, thus the larger quantity of blueberries. Secondly, I used a lot more sugar than they did. Third, as I did not have any fresh ginger, I substituted some powdered ginger from the spice store (the kind you typically use in baking). I love the zing of ginger, but I felt like it was a little too much zing and not enough sweet, thus the addition sugar. Plus, come one people, this is jam - it's supposed to be healthy so quit trying to make it seem so! I hope you enjoy this recipe and please let me know how yours turns out or if you have any suggestions!